Is Your Resume Grabbing Attention for the Right Reasons? Your resume will either grab the reader’s attention or not. Grab a coffee and read these in-depth resume writing tips. It’s not simply enough to capture a person’s attention; you must win the hiring manager’s interest for the right reasons! The first screening of your resume is critical to landing an interview, and this is why many job seekers hire a resume writing service. Receiving the phone call for a job interview is music to the ears during a job search. If you fall into any of the above categories, you must seriously consider revamping or rewriting your document altogether. You only get one shot at making a first impression, so make sure it’s a great one! Do not potentially throw away your only chance of landing a job interview with the company of your dreams. This may seem like a long list of things to look for when developing your resume; however, they are necessary if you wish to make it to the next stage of the job application process – landing a job interview. The resume writing process can seem very daunting, which is why many job seekers hire a resume writing service. 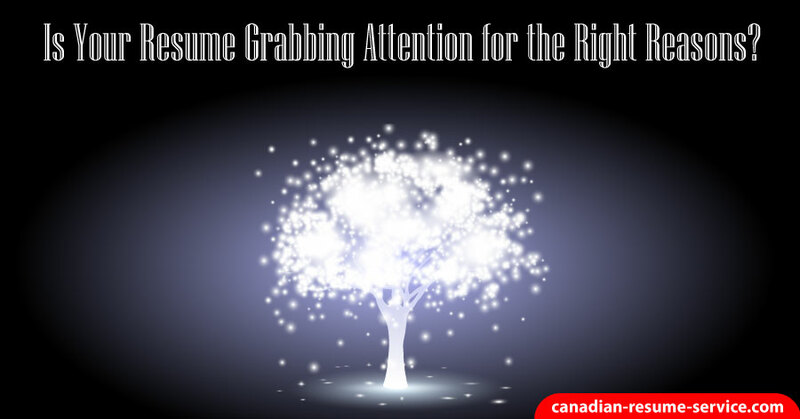 Once you have mastered determining “right attention grabbers” from “wrong attention grabbers,” the next step is to make your resume stand out from the competition. e. It’s not necessary to incorporate all of the above! a. Integrate professional achievements; these demonstrate concrete proof of your ability to perform optimally in the workplace. i. Use the C.A.R. acronym (Challenge, Action, Result) to explain your achievements correctly and in context. ii. What was the Challenge? What Action did you take? What was the Result? Write these statement in regular, concise sentence format. b. Explain what your duties were; this may seem pretty straightforward and obvious, but many people fail to include job responsibilities, particularly if they are out of the norm. c. Testimonials and quotes are excellent to add; they provide the reader with proof of your skills and accomplishments. d. Highlight your relevant Areas of Expertise; these can be written in list format or as a table near the top of your resume. They should include hard skill sets such as Budget Forecasting, Teambuilding, Customer Service, Marketing, Brand Development, etc. e. Set aside space for your Professional Development; this could include workshops, seminars, in-services, or post-secondary courses. f. Incorporate an area for Professional Affiliations, if you have any. g. Implement Community Involvement initiatives; include position held, the organization you worked with, and the years of service. h. Highlight Honors and Awards; list the name of the award, when you received it, and did it acknowledge, if the name of the award isn’t already self-explanatory. j. Employment references would go on a separate piece of paper with the same letterhead as the resume. As I mentioned before, you only get one shot at making a first impression! These steps are necessary for giving you the best chance of capturing the reader’s attention and being put in the ‘to interview’ pile. Before submitting your resume, be honest, what would your value to the interviewer look like with the document you created? Review some resume and curriculum vitae samples and cover letter samples. If you are unsure of how your resume, cover letter, or other job application documents fair, please contact Candace or call toll-free 1 877 738-8052 for more information on our resume writing service.